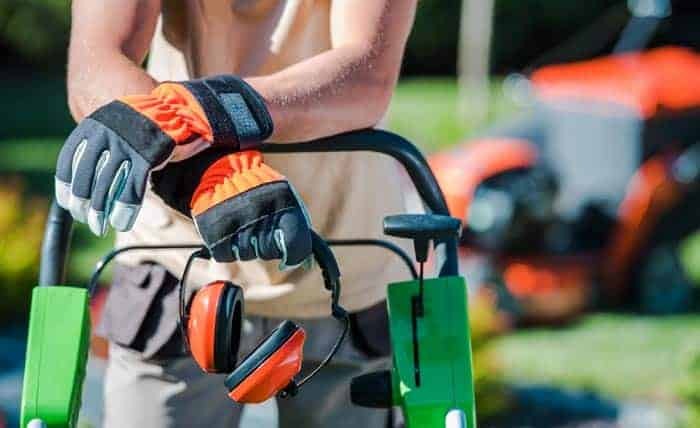 The best cut-resistant gloves are always considered as vital pieces of PPE (personal protective equipment) for a wide range of employees, particularly those who hold hazardous jobs. These gloves serve as the ultimate life of defense among employees, especially when they are dealing with risks and safety hazards on a regular basis. Your choice for the best cut-resistant work gloves should be compatible with the specific risk and hazard you are dealing with every day. It is a must to invest in one, especially if you are at risk of incurring cuts. With the best cut-proof gloves, you can protect yourself from injuries. You can keep yourself safe and prevent the dangers associated with being cut by the things around you at work. Keep in mind that over a million workers end up being confined in emergency rooms annually because of hand injuries. 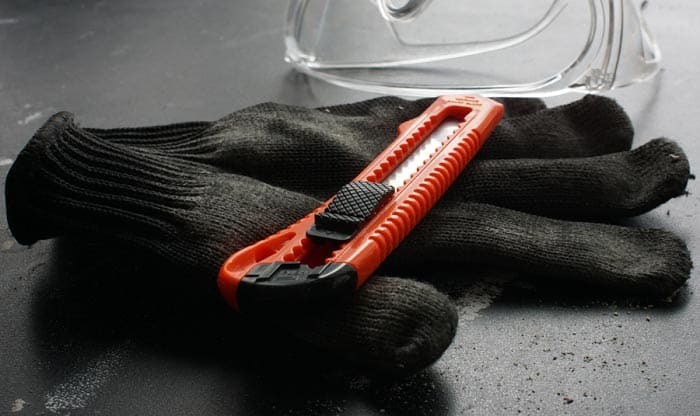 Among these are punctures, lacerations, and any other injuries that they could have avoided if they wear the right PPE, especially cut-resistant gloves. Keep your most valued hands safe by making sure that you wear the perfect gloves. However, if you think that you still have limited knowledge about these gloves and the correct standards for the specific industry you are in, then you can always refer to this article as a guide. It contains reviews of ten of those cut-resistant gloves that you can depend on. You will also be informed about the different tips and factors that you can use to make a wise choice as well as how important the glove is and the proper fit and comfort to workers. Let us start! The first cut-resistant glove I would like to suggest using is the high-performance and high-grade pair offered by NoCry. There are plenty of things to like about this glove. I, specifically, love its guaranteed durability the most. It is totally durable in the sense that it utilizes a material, which is the most resistant to cuts in the market. In fact, I discovered that it has four times the strength of leather, making it truly impressive when it comes to preventing you from getting cut. It also impresses most of its users because of the superiority of its grip. Some even say that it is the best cut-resistant gloves for mandolin and for grasping any other kitchen or work equipment. It has a snug fit, which works for both small-sized and large hands. I found out that it delivers an incredible performance when used on food preparation or when completing jobs that require a lot of precision. It is compatible with numerous tasks, including slicing, grating, peeling, and cutting in your kitchen. You will also find it helpful in other applications, like carpentry, oyster shucking, and wood carving, among many others. It is also lightweight plus it showcases its effectiveness in offering the ultimate hand protection. It is constructed using a combination of different materials, namely Spandex, polyethylene, and glass fiber. This combination leads to the production of a glove with a cut protection rating of 5. With its superior grip, holding items that are otherwise awkward and slippery will be more convenient. However, when used heavily in the kitchen, this glove is prone to absorbing a few food products because it is slightly sticky. With its lightweight and sturdy construction and effectiveness in terms of protecting hands, this cut-resistant glove from NoCry is always a wise choice among professionals and workers. Another wise recommendation is the DEX FIT Level 5 Cru553 Cut-resistant glove, with a premium and stylish gray color. I am glad that this cut-resistant glove comes out to be stylish and showcases a nice color because it encourages me to wear it every day, thereby making me free of worries about the safety of my hands at work. 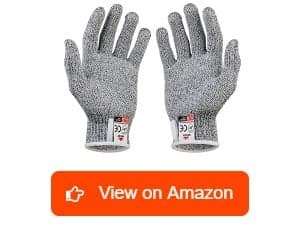 It is a flexible/versatile pair of cut-resistant gloves as you can use it in various applications – some of which include gardening, mechanics, woodworking, detecting, carving, fishing, kitchen works, auto, and oyster shucking. It also tends to work appropriately for men, women, kids, tends, and a wide range of workers. Gaining the Level 5 rating, I can safely assume that it holds a high cut-proof rating, making it really effective as far as protecting your hands is concerned. You will find it valuable when trying to protect your hands from injuries that can be brought on by punctures and cuts when handling sharp objects. These include a knife, steel, glass, blade, cutter, cutting slicer, plastic sheet, and paper. Your comfort will not also be compromised when wearing this cut-resistant glove considering the fact that it is ergonomically designed. This specific design ensures that all your fingers will enjoy a comfy and snug fit. It is lightweight, too, promoting ease in managing and handling your jobs that require great dexterity. I love the non-slip nature of this glove as it reduces the risk of slippage when using it underwater or in areas with light oil. However, the sizing of this specific glove runs a bit small but be aware that it will eventually stretch out with constant wear. The dependable and economical performance of this cut-resistant glove is a reason why workers who want to invest in hand protection should choose it. The cut-resistant glove offered by Stark Safe also continuously wins the interest of many workers with the many rewarding things that it can do. One great thing I am fond of about this glove is that it is stronger than leather by up to four times. I think this is the reason why most workers in professional kitchens and other workplaces use it. If you are a kitchen worker then you will realize that being ambidextrous is a huge advantage for the glove. It is because this makes it more convenient to switch from one task to another such as from chopping meat to chopping vegetables. It is available in a wide range of sizes – starting from small to extra-large. With that, I can assure you that it is easy to find your correct size and fit. The materials used in constructing it are also highly breathable. These materials include polyethylene and silica-based fiber, which makes it possible for your hand to remain comfortable when working. It is also a multi-functional pair, giving you the opportunity to use it for a number of tasks, like food preparation, peeling, slicing, cutting, mandolin use, grating, carpentry, oyster shucking, and carpentry. I am also truly impressed with its comfortable and snug fit as well as its superior grip. It improves your precision and dexterity, too. Furthermore, it has maximum breathability when used on long processes and tasks, allowing your hands to remain comfortable and dry. However, one of its flaws is it can’t resist direct punctures. While that is an issue, it still a great performer in terms of doing its primary function, which is to preserve your hands and protect them from cuts. Another well-recognized protective glove designed to resist cuts is the G & F 77100 M. It is unique in the sense that apart from its cut-resistant and ambidextrous design, I also noticed its heat-resistant and non-slip nature. It boasts of a palm with a silicone coating, which works in blocking heat from penetrating your hand. What I like even more about the inclusion of this coating is that it also strengthens your grip on a lot of things. The strong grip ensures that you can speedily do your tasks. 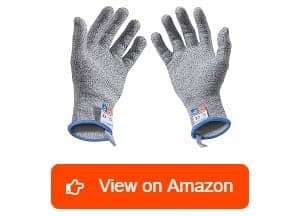 I think this is the most suitable pair of glove for you if your work involves holding heated knives, baking, dicing, and chopping. I am also satisfied with the sturdy and thick yet flexible and versatile fibrous material used in its construction. It has somewhat limitless uses because aside from delivering a great performance in the kitchen, it is also effective for other tasks, like wood or pumpkin carving, broken glass handling, and carpentry. In terms of cut-resistance, this glove will not disappoint as it up to level 5 cut protection. I am also pleased that this pair is food-grade safe. It is not harmful to the foods and food products it comes in contact with. Another great advantage is that you can easily and safely wash and clean it in your washing machine. It is stretchy and fits most of its users well. However, I also find it stiff, although this only happens during your first use. Once you get through the initial stiffness, you will start noticing the overall quality of this cut-resistant glove and its complete versatility and flexibility. The Dowellife Cut-resistant Glove is also another protective gear that you should invest in if you want your hands to gain protection from abrasions and cuts. I love the fact that it adopts high standards when it comes to incorporating cut-resistance into this protective glove. This results in the high level 5 cut-resistance rating that it holds. I can vouch for its incredible strength, too. In fact, it is known for being up to ten times stronger compared to other normal gloves. It also takes pride in its plenty of distinctive user-friendly benefits and features. It comes at a design, which makes it machine-washable. You can also easily sanitize it with ease. The glove also utilizes nylon material for its construction, which features a high level of elasticity. I am also glad of the custom fit delivered by this cut-resistant glove. It is primarily because of how stretchy and flexible it is. You can also easily find your size since this glove is now available in a variety of sizes – from small through large. The nice and solid grip of this glove is also helpful if you want to hold on slippery items, such as freshly rinsed veggies and whole fish. 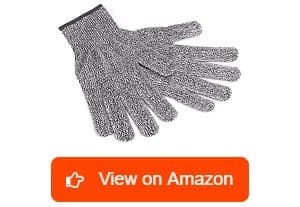 It is also possible to take advantage of this glove when it comes to handling frozen foods, cutting drywall and roasting oysters. Another advantage offered by this glove is that it offers comfort and good dexterity. It also promotes a more flexible operation when doing your tasks. Another advantage is the ease in sanitizing and cleaning it. However, some wearers complained about it being slightly difficult to put on. Once you have finally put it on, you will begin to love the feel, flexibility, protection, grip, and durability, among many other things promised by this glove. I am also greatly happy to include the Seibertron HIGH-VIS HDC5 Cut-resistant Deckhand Glove in my recommendations for the top cut-resistant gloves. I love the versatility and flexibility of this glove, which is represented by its ability to handle multiple uses. 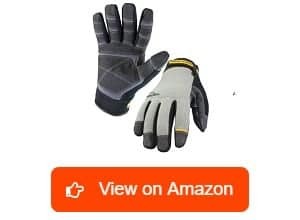 It is actually a good glove to use if your job involves heavy construction, gas and oil drilling, rigging, tool pushing, demolition, mining, extraction and refining, and kitchen work. 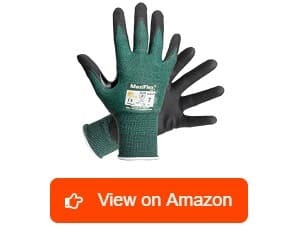 The level 5 cut-resistant rating received by this glove just shows how effective it is in avoiding cuts and slices, especially those that might injure your hands. It is also highly protective with its ability to absorb impact. Since it can absorb impact, it is also possible for your glove to offer complete protection on your fingertips. Being impact-absorbent also increases its possibility of delivering sidewall protection. I also like the cuff puller of this glove as it promotes speed in getting it into the right position. I am also fond of the 4-layer palm built into this glove as it further boosts enhances its strength and durability. It is also a big help if you want to retain the safety and the productivity of your hands. It is also one of the most breathable gloves with cut-resistance that you can find in the market. 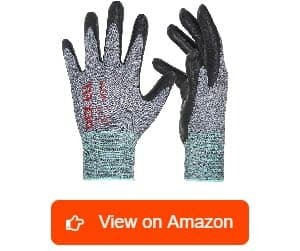 The breathable nature of this glove increases its possibility of making your hands stay dry and cool inside no matter how busy your day is or how hot your environment is. However, one issue that you will most likely face when wearing this glove is that you might need to break it in first. 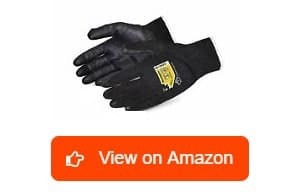 After breaking it in, you can expect the positive performance and benefits of this cut-resistant glove to start shining, so it is surely worth checking out and paying for. When it comes to hand protection and resisting cuts, the Superior Glove Dexterity High-abrasion Glove does not also seem to disappoint. It is an economical pair that is available in black and comes knitted using a blend of composite filament fiber. With its decent cut-resistant rating, I am sure that you will love including this in your protective gear collection. I like the lightweight yet sturdy make of this glove without compromising the dexterity of wearers. In terms of resisting abrasion, I figured out that this cut-resistant glove does not also waver. It ensures that all its wearers can prevent abrasion from causing them to experience injuries. I like the foam nitrile coating used in this glove, too, because this maximizes its grip when handling dry or wet surfaces. The uncoated back of the hand also promotes a big advantage also it further enhances the glove’s breathability. In terms of the industries and applications you can use it with, you will be pleased to realize that it is truly flexible. It can serve several workers and industries, including those who are part of the glass manufacturing, automotive, metal handling, and small parts handling industries. Another thing that I am sure you will greatly love about this glove is its compatibility to touchscreen devices. It has a natural and tactile feel, which prevents you from having to take off the glove in case you need to use your smartphone or tablet. However, I noticed that it is also slightly slippery when wearing it while holding something slippery, like a whole fish. Overall, this cut-resistant glove showcases its incredible performance on a lot of situations, giving you the kind of peace and protection you are wishing for. I am quite sure that most of those who need protection from cuts at work can greatly appreciate the Youngstown Glove 05-3080-70-L KEVLAR Glove. I am so delighted that I came across this glove because I find it heavy-duty and all-purpose, allowing it to handle tough jobs. It is also built in a flexible and rugged manner so it can satisfy hundreds of prospective wearers. I am satisfied with its extensive non-slip reinforcement because I noticed how it works in maximizing the grip and promoting durability. I am fond of the supportive cuff, soft terry cloth, and padded knuckle, too because all these promote comfort. The terry cloth thumb, specifically, is totally comfortable as it feels great on the skin while also working efficiently when it comes to wiping debris and sweat away. The Kevlar fiber material is also used as a complete lining for the glove’s interior. This material is beneficial as it significantly enhances the glove’s puncture and cut-resistance. With that, it is no longer surprising why this glove showcases extreme versatility, letting it handle as many tasks as possible. I am also very pleased with the 3D and ergonomic style utilized by this glove as it promotes a more comfortable fit. It conforms to the shape of your hands, giving you dexterity and convenience the entire day. Furthermore, it promotes an extended life, thanks to the double-stitching used in it. It also takes pride in its breathable neoprene cuff. Still, the quality of this cut-resistant glove is instantly noticeable, so it is surely a great solution for anyone searching for maximum hand protection. The next product I intend to suggest to those who want to receive maximum protection to their hands while they are at work is the Maxiflex 34-8743 Cut-resistant Nitrile-coated Work Glove. I am happy that I get to come across this work glove because I find this genuinely protective. I am glad that it does not disappoint in terms of protection because it is actually what most workers in threatening environments need. It keeps your hands completely safe and protected because of its great cut-resistant score. Aside from being protective and cut-resistant, this also assures users of a great deal of durability. It is durable enough because of the reinforcement added in between the glove’s forefinger and thumb. Another benefit that this glove promotes is incredible breathability. It does not suffocate your hands while being inside the glove. In fact, it is breathable and well-ventilated that you can prevent your hands from sweating too much. I am also impressed with the comfortable and form-fitting construction of this glove, which also provides plenty of dexterity. It works perfectly for almost all tasks that you expose it to, including handling sharp and spiny fish and rebuilding or handling metals that have sharp edges. When it comes to drawbacks, the only thing I noticed is that it is quite hard and challenging to use in wet and oily surfaces. 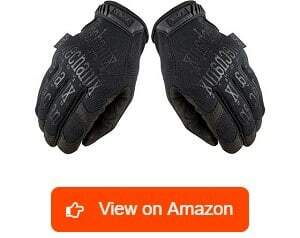 Overall, This pair of Maxiflex cut resistant work gloves is a good product that’s worth a try. Lastly, I am pleased to say that the Tactical Specialty Pursuit CR5 Cut-resistant Glove from Mechanix got a spot in this article. It deserves any worker’s attention as it is really constructed with quality in mind. It takes pride in its anatomical design, which conforms well on your hand’s natural curves. This is made possible with the help of its 3-dimensional patterning. I am also very pleased that it works effectively for law enforcers. In this case, I am pretty sure they will love the fully functional blade-cut resistance showcased by this glove without compromising the ability of its officers to control firearms or do searches. I like the palm construction of this cut-resistant glove because it boasts of sturdy synthetic leather with a lining featuring a level 5 cut- resistance, promoting its guaranteed capability of offering the ultimate answer in hand protection. 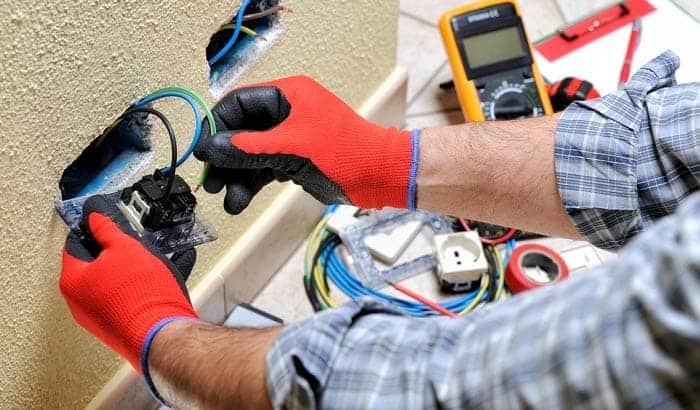 Even when you are busy at work with your glove’s on, you will also feel satisfied to know that you can still retain your connectivity. It is mainly because of its touchscreen capable technology, giving you the chance to use your devices without the need to take off your glove. However, I noticed that it is not suitable for cold environments. Still, it delivers well when it comes to showcasing its primary function, which is to protect users from objects that cause cuts and injuries in the hands. 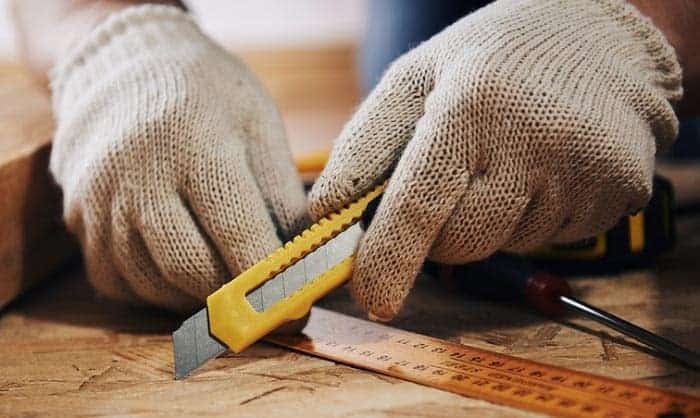 A pair of cut-resistant gloves refers to a protective glove, which can help resist cuts from sharp materials, tools, objects, and blades once you fit, wear, and use it properly. It is distinctive from other glove categories in the sense that it specifically resists being cut. As a kind of PPE, it is made specifically to make your hands secure from lacerations and cuts because of coming in contact with a wide range of cutting machines, tools, and equipment. It also prevents cuts on your hands once you come in contact with sharp-edged objects and items, like blades, ceramics, glass, metals, and knives. It works by providing a barrier in between your hand and the sharpness of the object that might cut you. The glove can offer the ultimate solution for hand protection against slashes and cuts. Also, take note that cut-resistant gloves are categorized based on their specific application or purpose. What is good about these protective gloves is that they are not just capable of resisting the risk of being cut by sharp edges or blades. These protective items can also ensure your safety from other hazards, like abrasions and punctures. In most cases, it is constructed from special composite materials combined with fiberglass, high-performance synthetic yarns, and stainless steel mesh. Cut-resistant gloves can be expected to work based on the specific level of cut they can resist. Note that their cut-resistance is often measurable in weight, which is in grams. The weight is the specific amount in grams needed to cut or puncture into a fabric. This is the main reason why authentic cut-resistant gloves undergo tests to get the measurement. The results of the test will be categorized on various cut-resistance levels – from A1 to A9 based on the newest cut levels set by ANSI. The level of cut-resistance is the basis on the suitability of a specific glove to protect you from lacerations and cuts. It is also possible for your cut-resistant glove to work based on other factors, like thickness, comfort, and flexibility. This means that no matter how high the cut-resistance level of a glove is, your productivity will still be hampered because of the poor fit and the uncomfortable, heavy, or bulky material. Also, take note that you can’t expect thicker gloves to work better than the rest (at least not all the time). 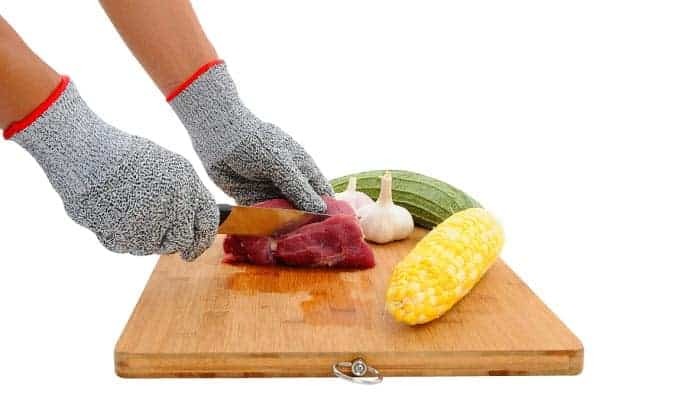 This is especially true if you are looking for the best cut-resistant kitchen gloves for food service applications that require you to handle small pieces of foods most of the time. 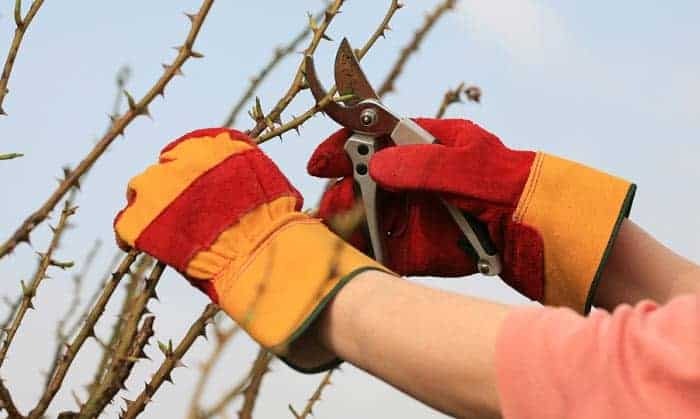 It is because while you need a more cut-resistant pair of gloves, you also have to make sure that it is not that bulky and it is lightweight. Such combination allows the glove to deliver what it promises in terms of its function while still promoting a great amount of dexterity, grip, touch sensitivity, and efficiency. This will also increase the chance of the protective glove to remain on your hands so it can handle fine detail work. If you want to receive better protection, go for a pair that has the perfect balance between protection from hazards, grip and dexterity, comfort, durability, and touch sensitivity. Kevlar – This is the most popular material or fiber used in making a reliable cut-resistant glove. It is a synthetic fiber known for providing high levels of cut-resistance. 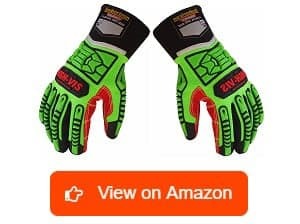 What is good about most Kevlar gloves is that they have lightweight construction, which makes it comfortable to use apart from being able to offer increased protection. It is also one of the sturdiest materials you can find since it has five times more strength compared to steel for every unit weight. 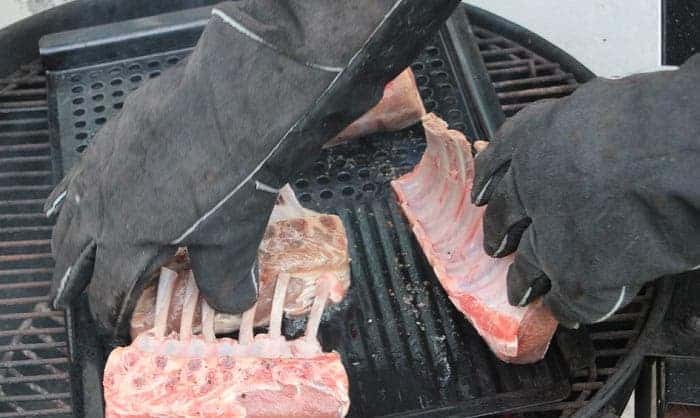 With its natural flame-resistance, it is also possible for Kevlar cut-resistant gloves to work well when used on kitchen environments with high heat. It is also perfect when used on food preparation tasks as well as other applications. These include automotive applications and glass handling. Spectra – Another category of cut-resistant gloves that you have to research about is one based on the Spectra fiber. If you are still unfamiliar with Spectra, then be aware that it refers to a molecular-weight and ultra-high polyethylene fiber capable of offering a decent amount of cut-resistance even in environments that are wet. Aside from being 15 times stronger compared to steel for every unit weight, its strength is also around 40 percent higher compared to aramid fibers. This strength also showcases the extreme durability of the material. Despite being completely strong and durable, this material is still flexible and comfortable to use. It also boasts of its low-density nature, making it possible for it to float naturally in the water and be more resistant against moisture. It is also lightweight, which is also one reason why most of its users feel the utmost comfort when wearing it. This further motivates them to comply with the requirement to wear a protective glove. It is also beneficial for most users because it is greatly capable of protecting wearers from harsh chemicals and UV lights. 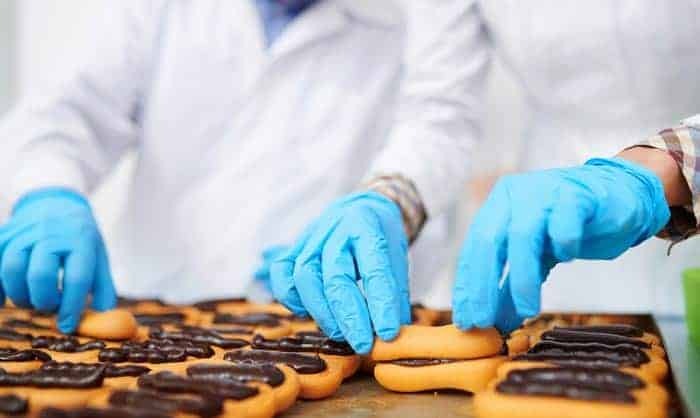 One more thing that makes Spectra cut-resistant gloves amazing is that they work well in foodservice applications, restaurants, and food processing tasks. Dyneema – Constructed using the ultra-high and the molecular weight polyethylene material, the Dyneema fiber used in some cut-resistant gloves comes in the form of a multi-filament and gel-spun fiber. It has a truly high level of cut-resistance. It also features spiral wrapped steel, which further increases the glove’s cut-resistance level. Dyneema is completely durable and sturdy without compromising the flexibility of the material and the comfort of users. This material is also popular for having the ability to deal with the extreme cold and hot temperatures. It works well when used on food preparation tasks, like dicing, slicing, and chopping fruits, veggies, meats, and cheese. Metal Mesh – In most cases, this consists of stainless steel mesh materials that are interlocked. What is great about the metal mesh material is that it is one hundred percent capable of supplying advanced puncture- and cut-resistance. It provides maximum protection considering the fact that it got a cut-resistant level of A5. It should be noted that in most cases, protective gloves made using 100 percent metal mesh can be considered as the only kinds that are capable of providing both cut-resistance and puncture-resistance. Some gloves can offer hand protection from slices and cuts but not punctures. 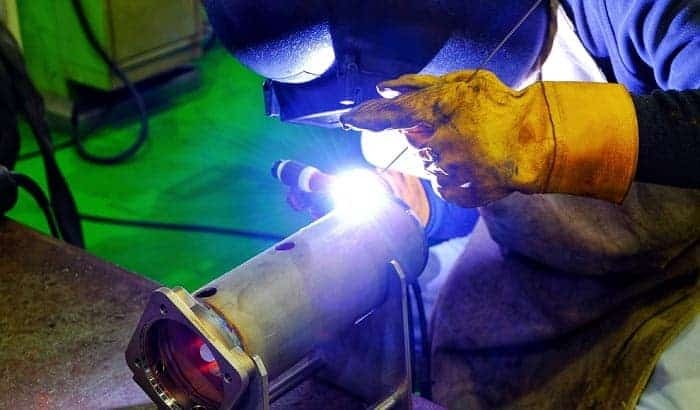 This is the main reason why you can often see metal mesh gloves being commonly used in those industries that use really sharp cutting machines, instruments, and tools. Most of these gloves are also designed to be conveniently ambidextrous. It has high levels of durability because it boasts of its 100 percent stainless steel design. You can also expect the metal mesh gloves to work well when used for poultry and meat applications. Wearing cut-resistant gloves, especially if your workplace is surrounded by items that make you at risk of dealing with cuts and lacerations, like the kitchen, is extremely important. One reason behind the importance of this type of glove is that it lessens your risk of facing the most common workplace injuries. 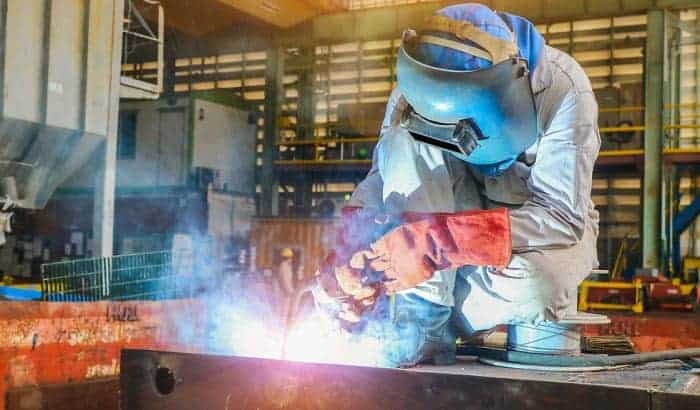 Note that being in a hazardous workplace, especially if you are part of the foodservice industry, can make you more vulnerable to developing cuts, punctures, abrasions, and slices. The problem is that these specific accidents can lead to a 30 percent loss of productivity and work time. It also causes almost 80 percent of injuries affecting the hands of workers. This is where your cut-resistant glove comes into the picture as it helps to give your hands the protection they need. With this protection, you can boost your productivity and efficiency while keeping your mind at peace since you are aware that you are completely safe. You need to protect your hands as workers like you consider these parts of your body as your most valuable tools. If injured and damaged, you will have a difficult time fixing them and recovering. The best way to preserve the way they function is to protect them in the first place with the help of cut-resistant gloves that are of top-notch quality. Level 0 – This specific level offers the least amount of protection so stay away from this as much as possible, especially if keeping your hands fully protected is what you want to prioritize. Level 1 – This specific level makes use of fabric or material, which protects cuts categorized as a nuisance like automotive maintenance or paper cuts. Some of the materials used in this case are natural fibers, such as cotton, latex, and leather. Level 2 – In this cut-resistance level, expect the glove to be constructed from a fabric or material, which can protect you from low cut hazards. Some examples of these are cuts that happen in masonry, packaging, and construction industries. In this case, synthetic materials and fibers that are heavier in weight, like polyester and nylon, are commonly used. Level 3 – Level 3 cut-resistance makes use of fabrics or materials that protect you from moderate cut hazards. These hazards are often noticeable in jobs related to light metal stamping or light-duty glass handling. In this case, materials with better performance, like Kevlar, are more useful in the glove’s construction. Level 4 – If you want to receive protection from high cut hazards then the Level 4 cut-resistant gloves are what you need. They are often constructed from man-made materials or steel, like Dyneema and Spectra, that help you prevent injuries from high cut hazards caused by food service or sheet metal handling applications. Level 5 – Level 5 cut-resistant protection can help you deal with extreme cut hazards more effectively. You will often deal with these hazards in the poultry or meat processing and plate glass handling industries. By considering the levels of cut-resistance a glove has, you have a better chance of picking one that is truly appropriate for your job. Choose a durable one – This tip also requires you to monitor the specific material used in creating the glove. Note that PPE is quite expensive, especially if you decide to purchase a cheap and low-quality substitute or the wrong product. With that in mind, choose a really durable one. It should be capable of lasting long so you do not have to spend time and money shopping for frequent replacements. Also, make sure that your purchase is a high-quality one and is custom-made for the specific job you are holding. Identify the specific materials you need – Note that protective glove manufacturers utilize various materials during the production of their cut-resistant gloves. While it leads to several options, this also translates to various materials providing various levels of cut-resistance. For instance, you can find gloves made of leather but you can’t expect it to provide as much cut-resistance as the others unless it comes with a cut-resistant lining. You can also choose cotton, which provides a higher level of cut-resistance in comparison to leather. However, you can’t also expect it to be a perfect choice if you want to receive full protection. In case you wish to get the highest level of abrasion and cut-resistance then consider choosing gloves constructed out of Dyneema or Kevlar. A more superior one is also a glove constructed from the two mentioned materials but further improved using steel fibers. Identify the specific material or blend of materials appropriate for your chosen industry because you can’t expect to find an all-purpose work glove. Try different styles – The whole process of searching for a reliable cut-resistant glove might sound easy but there is a great possibility for it to take longer because you also need to find the right style for you. Note that even if you find a glove constructed out of the most appropriate material while offering the correct cut-resistance level, you still have to try on various styles because this can help determine which one you are comfortable of wearing. This is also the key to determining which one can prevent you from feeling too cold or too hot. Try and test various styles of gloves. Figure out whether you are comfortable wearing the glove and if it fits correctly. This is helpful in finding out which style will not cause you to experience discomfort, thereby encouraging you to wear it all the time. Spend time evaluating your work environment – Your current work environment should also have a say in determining which cut-resistant glove is the most appropriate one for you. During the evaluation, find out whether injuries take place in your work environment frequently. Also, determine the usual time and place of occurrence. Do these happen during rush hours? Do they often occur at the preparation stations if you are working in the kitchen? Find out the specific manner through which the injury occurs. What is the culprit? Is it the basic cutlery, some machines, or a large knife? By knowing all these scenarios in your work environment, you have an assurance that you can pick the right cut-resistance glove. You can also choose one, which is comfortable enough without compromising your mobility and flexibility. Aside from the tips mentioned, it is also helpful to pay close attention to other factors, like your comfort, preferred style and color, fit, and your potential cut risks. It is also crucial to have the best balance of cut-resistance, flexibility, and comfort. If you are still unsure which one to choose then you can always seek the advice of your safety equipment provider. Consulting suppliers and manufacturers can also help. Communicate with people who are part of those industries that are the same as yours. You can always seek for their advice and recommendations when it comes to choosing the correct type of cut protection. Cut-resistant gloves may be different from the standard gloves in terms of how you take care of them. Some of these gloves can actually be washed using your washing machine without worrying about them getting damaged. However, there are also those that specifically need to be cleaned through hand-washing. Almost every cut-resistant glove also needs air-drying. You need to avoid putting it in your dryer as this might cause it to shrink. The dryer might also damage your glove in a way that it is no longer usable. When washing, avoid using bleach, harsh chemicals, or fabric softener. It is also essential to spend time inspecting your cut-resistant glove before each use. Check it for potential holes, weak parts, and tears. As for cleaning and washing, you can use some soap and water. You can also check the care instructions indicated in the glove’s package. This will give you specific instructions on how you should take good care of the glove safely. Follow these instructions closely as the glove’s useful life will differ greatly based on how often you use it, how you use it exactly, and its storage and cleaning conditions. What are the most popular cut-resistant glove brands? Several famous and trustworthy brands of cut-resistant gloves are now accessible in the market. This promotes ease in terms of trying to make a sound and wise purchase. 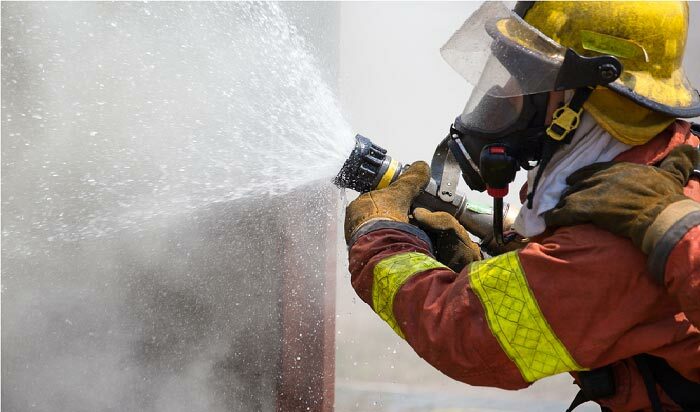 As far as quality, durability, level of protection and comfort are concerned, the cut-resistant brands that stand out include NoCry, Youngstown, MaxiFlex, Mechanix, and DEX FIT. What are cut-resistant gloves made of? Cut-resistant gloves are constructed using a wide range of materials, and it is up to the potential buyer to choose which one out of the different materials they think perfectly suit the specific kind and level of protection they need. In most cases, the glove is constructed from one or a combination of the most commonly used materials for it, including synthetic nylon fabric, synthetic polyester fabric, Kevlar, Dyneema, metal weave or metal mesh, and a wide range of natural materials, like leather, wool, cotton, and rubber. 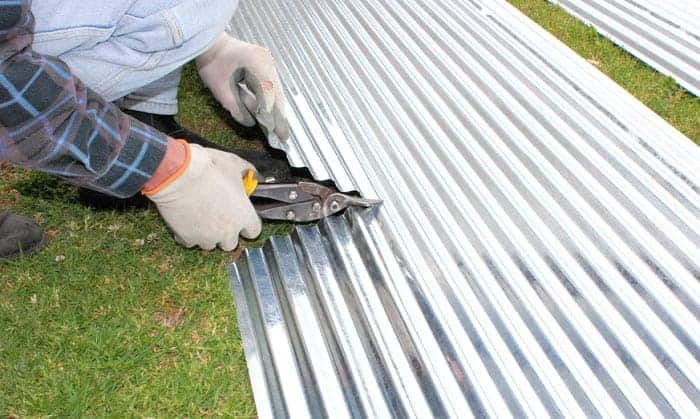 While the mentioned materials boast of their almost the same cut-resistant traits, each one also comes with distinctive features that are important when taking into consideration the safety hazards that you are exposed to. For example, Kevlar material is known for being naturally flame-resistant. When are cut-proof gloves required? Cut-proof gloves are required in workplaces and industries where workers are exposed to objects and machines that make them more prone to getting cuts, lacerations, or slices. Some of these include workers in the food-service and the construction industry. If you are an employer, then it is even more important to invest in cut-resistant gloves for your employees. How are cut-resistant gloves tested and rated? Cut-resistant gloves need to undergo a test so they will receive their official cut-resistance rating. The test should be done prior to introducing the glove to the market. The glove has to undergo a test to determine its rating under artificial conditions. The testing techniques approved can identify the level of force needed in order to cut the material of the glove. In this case, a standard blade or a rotating blade will be used. Take note that the tests used here are not reflective of real-world conditions, applications, and situations in the industry. Despite that, you can expect them to still be the best methods currently available when it comes to assessing the level of cut-resistance. Also, take note that when testing the level of cut-resistance a glove has, most manufacturers need to follow the standards set by ANSI or otherwise referred to as the American National Standards Institute. This institute sets standards in measuring the cut-resistance levels based on the grams of weight placed into the tested material. A specific level is identified based on the specific amount of weight required in cutting through a certain material through 25-mm blade travel. The new levels actually range from A1 up to A9. The old levels, on the other hand, have a range of 0 to 5. Either the A9 or the 5 ratings offer the highest cut-resistance levels. Note that no matter how good the quality of a specific cut-resistant glove is, you can’t expect it to do you good if it is not of the right size and fit. A glove, which is too small can be uncomfortable and painful to wear while an extremely large one might cause it to slip off. To find the correct size, check whether your chosen brand or company comes with a size chart. This promotes ease and speed in finding the one that fits your size correctly. It is also necessary to do an actual measurement of your hand and use the result in the correct matching of the measured size to the sizing chart. Do this by using a tape measure and wrapping it around your hand’s widest part. If possible, ask the help of someone so you can easily do this. The result, which is measured in inches, indicates the actual glove size for you. Several brands have sizes that come in the form of letters but rest assured that there will be information about what each letter represents in terms of centimeters or inches. 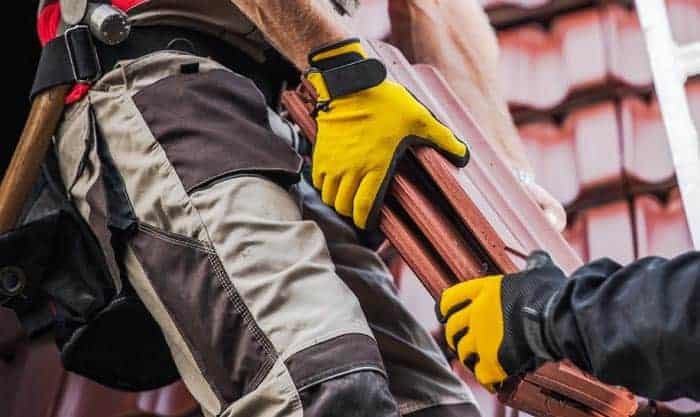 A pair of the best cut-resistant gloves currently available in the market at present can spell the difference between having a safe and productive time at work and a dangerous and complicated one. Invest in the right pair to ensure that you will not end up like those who got injured because of the lack of protection in their hands. Whether you need gloves for dicing, juggling knives, chopping, or any other purpose, you can select the perfect one for you through proper research. 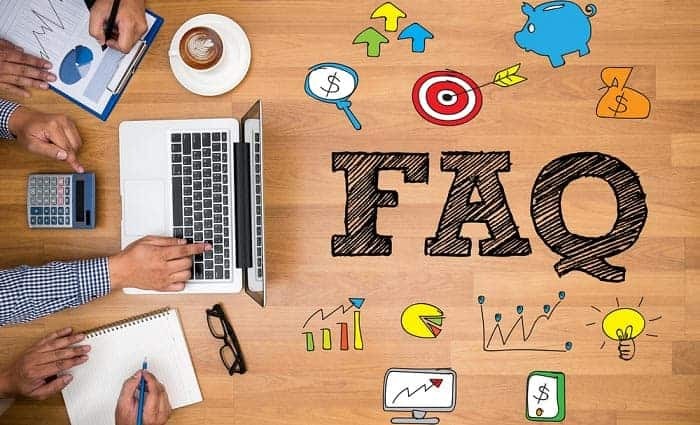 Hopefully, the information in this article made it easy for you to get rid of your confusions and make the right investment in terms of your protection.